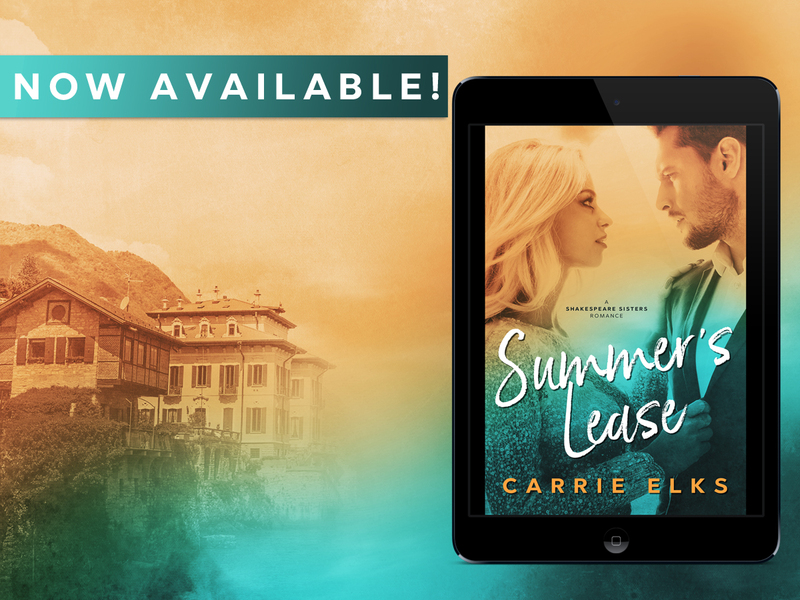 Summer’s Lease an all-new romance by Carrie Elks is available NOW! This is the first book in a series of books about the Shakespeare sisters. New author to me, the blurb really interested me but I actually enjoyed this book alot more then I though I would. Its an sweet, light, easy read set in a beautiful setting for those summer nights spent in the garden with a glass of wine. 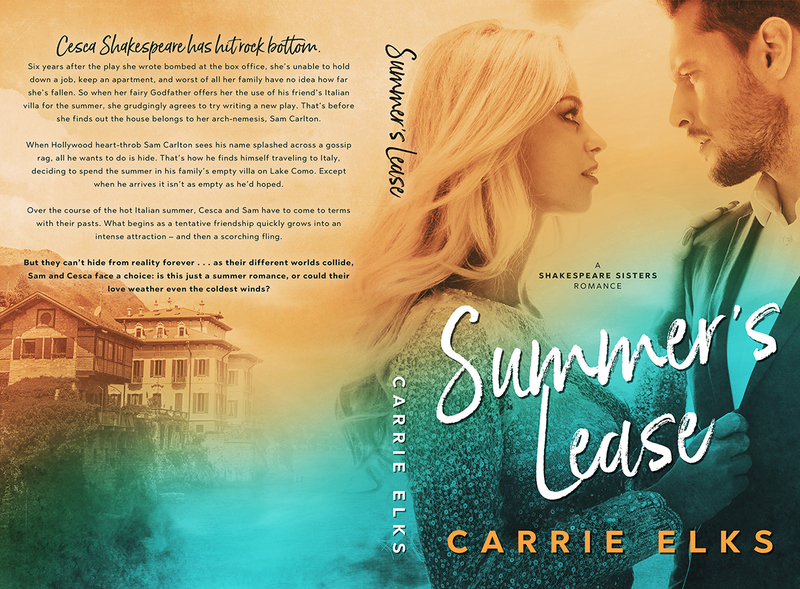 The main character were both connectable and the chemistry really had me gripped, what made this story for me though was the setting, such a great read for the summer and it really got me in the summer mood. I'm looking forward to the next sisters book. Sam was standing in front of her, holding a glass of water. In his other hand was a packet of Advil. He gave her the glass, then popped out two pills. Cesca was too surprised to do anything other than take them from him, swallowing them one at a time. “Thank you?” It came out as a question. If she’d been feeling more like herself she’d probably interrogate him, or accuse him of trying to poison her. Instead she felt a warmth in her chest, one that seemed to pacify her swirling stomach. “We’ve all been there,” Sam said, taking the empty glass of water from her. “Why don’t you go back to bed? You look like hell.” “Thanks.” Once she was feeling better, she really needed to work on her repartee. “It wasn’t really a compliment.” “I didn’t take it as one. I know I look terrible. I should. It’s my own fault anyway.” Sam wrinkled his nose. “Nah, we can blame the wine.” “Yeah, because it jumped right out of the bottle and into my mouth.” In spite of her headache, she felt the corners of her lips turn up. “That damn Chianti, it’s got a mind of its own. Should be banned, it’s a dangerous substance.” “Shouldn’t you be lording it over me?” she asked. “After all, you don’t like me, and you have every right to tell me off for getting drunk and then being hungover on the job.” “You’re not an equal adversary right now. 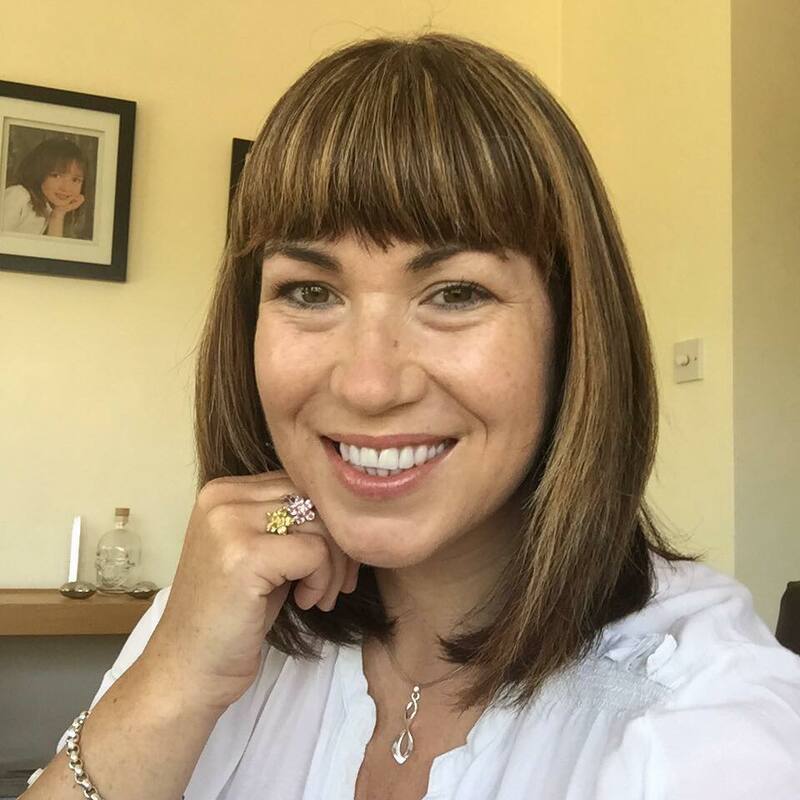 I’ll wait until you’re feeling better to make you feel bad.” “That’s very gentlemanly of you.” “I aim to please.” He flashed her an unexpected smile. “Now get back to bed, you look awful and you stink.” “I can’t, the cleaners are here. I need to supervise them.” “I’ll do it. Please go back to bed.” She would have narrowed her eyes, but it hurt too much. “Why are you being so kind?” Sam sighed. “Look, I know we got off to the worst start, and I know we’re never going to get along, but the fact of the matter is, for at least the next few weeks we have to find a way to live together. You’re not well, and I’m here with nothing much to do, and it makes sense for me to take over. So please go back to bed and sleep it off.” “I owe you one,” she replied. “If I ever feel better I’ll try and make it up to you.” That made the corner of his lip twitch, but he ignored her offer anyway. “Go on, get off with you. If you’re not up by this evening I’ll come in and check on you. Otherwise, get some sleep, have a shower, and smarten yourself up.” “Yes, sir.” If she had more than a basic control of her muscles she would have curtseyed. Instead she used the small amount of energy she had to climb up the stairs to her bedroom. Maybe when she was feeling better she’d try to work out Sam’s motivations, why he’d been so accommodating to her. For now, though, she’d just be grateful for them, wherever they came from.